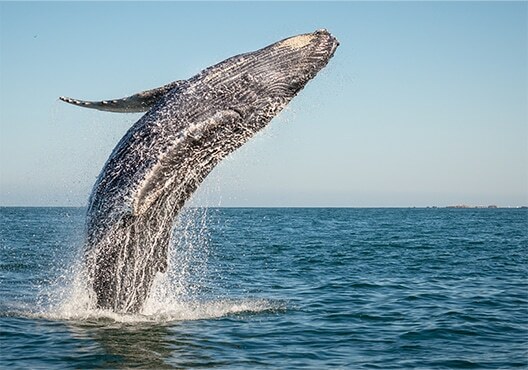 THE PRISTINE PACIFIC COAST OF MEXICOMandarina is situated along a rare, pristine setting on Riviera Nayarit, which encompasses more than 200 miles of coastline north of Puerto Vallarta, Mexico. Surrounding the property are thousands of federally protected acres in the Sierra del Vallejo Mountains, ensuring views and privacy will remain unobstructed and protected. Secluded, palm-fringed beaches, tropical jungles, nature sanctuaries and quiet coastal towns line the neighboring shores. 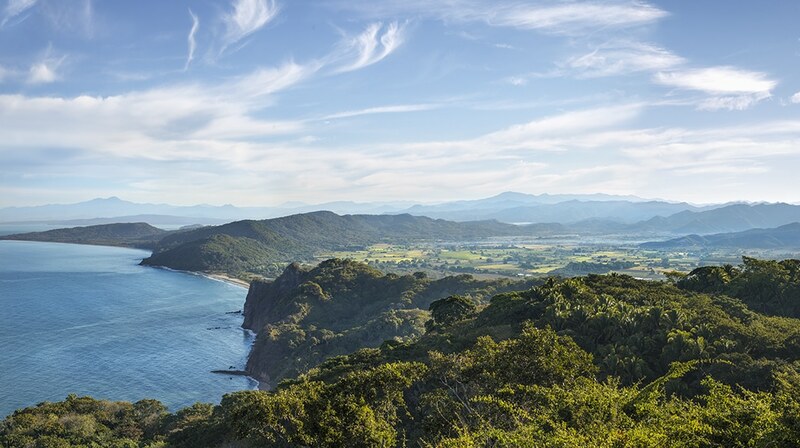 While within close reach of the more populated tourist destinations to the south, Riviera Nayarit offers the appeal of a new frontier, with an allure and mystique that speaks to adventure seekers and nature enthusiasts alike. Though its location along Mexico’s Riviera Nayarit affords absolute privacy and serenity, Mandarina is a less than one-hour drive from Puerto Vallarta, a major international destination. Upon completion of a new highway link, the ride will be shortened to 30 minutes. 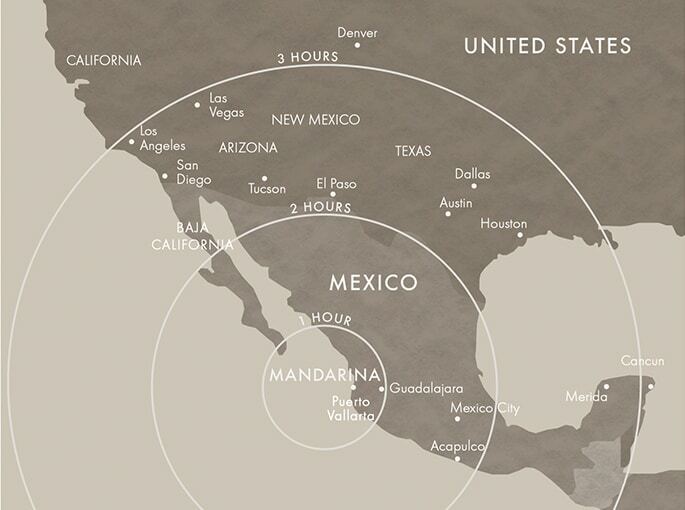 The Puerto Vallarta airport welcomes direct, 2 to 3-hour flights from the southern United States, as well as direct flights from a host of other U.S., Mexican and Canadian cities. Riviera Nayarit enjoys some of the best climate conditions in the world, with 345 days of sunshine a year and average temperatures in the low 80s. Its rich biodiversity includes lush jungles, majestic mountains and calm, swimmable beaches, a rarity on the Pacific Coast of Mexico. Only minutes from the gates of Mandarina are some of Riviera Nayarit’s most celebrated attractions. The seaside town of Sayulita is a surfer’s paradise, boasting some of the Pacific Coast’s best breaks and a laid-back village vibe. The town of San Pancho features a charming downtown, beautiful beaches and authentic shopping and dining. 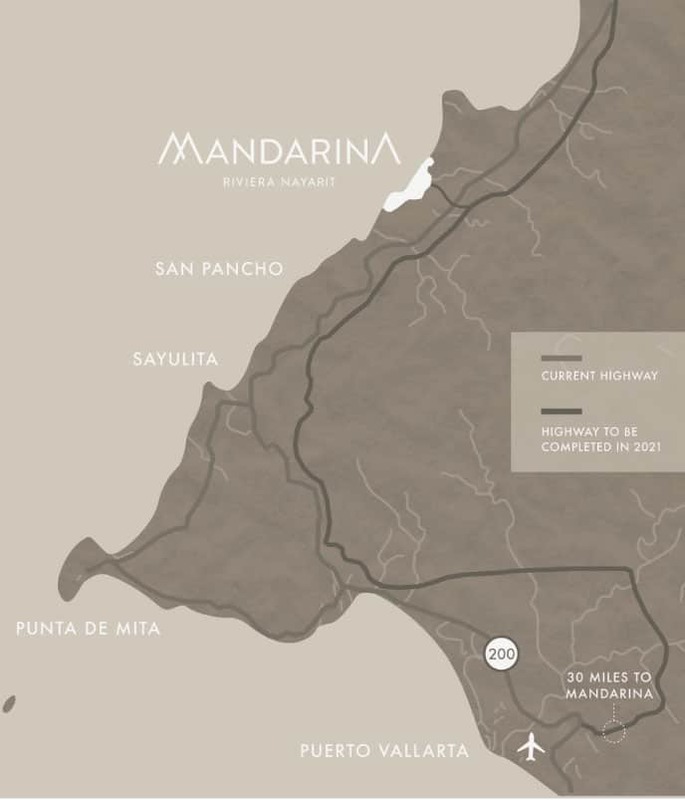 Rosewood Mandarina Rosewood Mandarina will feature a distinct, residential-style hotel and a collection of private residences, debuting in 2021. The Jetty Residents and guests will set off from The Jetty on their seafaring adventures and gather nightly to watch the sunset. One&Only Private Homes The villas are nestled within an exquisitely private location neighboring One&Only Mandarina. 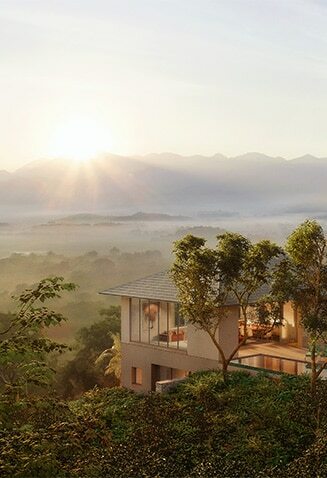 Rosewood Residences Debuting in 2021, Rosewood Residences will immerse residents in nature, treating them to the Rosewood brand of award-winning hospitality. Canalan Beach Club Canalan Beach Club is situated along a one-mile stretch of pristine beach ideal for swimming, kayaking and snorkeling. The Point An adult-only destination perched along the mountainside, The Point captures the most spectacular sunset views in Mandarina. The Plateau A distinct, poolside lounging and dining experience, The Plateau overlooks The Jetty and the ocean beyond. One&Only Majahua Beach Club Nested along the calm waters of the Pacific, One&Only Majahua Beach Club offers a setting of relaxed, casual elegance. One&Only Spa One&Only Spa provides an authentically holistic wellness experience and open-air treatment rooms nestled beneath the trees. Kids' Club The Kids’ Club brings the wonders of Mandarina alive, featuring treehouses, butterfly sanctuary, water activities and nature trail. The Farm Situated within the Flatlands, The Farm features home-grown produce and a farm-to-table restaurant. The Outpost Adventure begins at The Outpost, the place to set off for a day exploring the trails or the jungle at Mandarina. Mandarina Polo & Equestrian Club Mandarina Polo & Equestrian Club graces the Flatlands, providing a remarkable destination for the equine-focused lifestyle. Estuary The estuary at Mandarina features a rich biodiversity and outstanding bird watching. A collection of private villas features 4, 5 and 8-bedroom designs with 7,500 to 19,000 square feet of living space, each offering exclusive residential services provided by One&Only Mandarina.